One of the largest concerns for the Florida Keys Mosquito Control District (FKMCD) is Dengue fever, a disease caused by any one of four closely related dengue viruses (DENV 1, DENV 2, DENV 3, or DENV 4) that are transmitted by the bite of an infected Aedes aegypti mosquito, the most important transmitter or vector of dengue viruses in North America. Although Dengue fever is rare in the USA, there have been outbreaks in 2009 and 2010 in the Florida Keys, and one in 2005 in Texas. And with higher temperatures and sea level rises, the mosquito vectors for Dengue will move further and further north putting more of the population at risk. Some residents of the Keys are afraid of a brilliant way of reducing, maybe eliminating, the mosquito that carries a terrible disease. A fear of the unknown and a fear of science rather than on the facts. A fear without evidence. Q: Does it not seem that since there have been no cases of Dengue since 2010, that current efforts have been effective and we don’t need to continue with GM control? 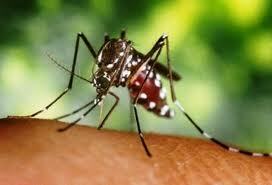 A: Dengue fever is spread, by the Aedes aegypti mosquito, the most common mosquito in Key West. Dengue is prevalent in nearby areas, such as the Caribbean; the virus can easily be spread through human movement, e.g. tourism, so Key West is under constant threat of dengue. We must continue to seek new tools to control the mosquito both to minimize the risk of dengue transmission, and to have more effective methods with which to prevent such transmission should it re-occur. It is true that we did not have dengue in Key West for over a year and that is tremendous. But, the goal is to prevent disease issues now and in the future so we are looking for tools. We had dengue serotype 1 in Key West, if we get 2, 3 or 4, we need a tool to immediately suppress this mosquito. Are our current tools working? In the opinion of FKMCD and their purpose and mission here at the District, no. Q: Why are Key West citizens the guinea pigs and not areas of the world were Dengue is more prevalent? A: Dengue can be a serious disease and Key West was one of the first places it returned in South Florida, after decades. It was a very limited outbreak in Key West with 27 cases in 2009 and 67 cases in 2010, with no cases for 2011 to the present, March 2012. We have a wonderful control program but certainly do not want dengue back in the Keys. People with underlying medical conditions or a previous dengue illness are at risk for a more severe form of dengue. A previous exposure of dengue increases your chances of having a more severe form of possible hemorrhagic fever, if exposed to a different serotype. Although Dengue is not currently present in the Keys, they are under constant threat due to the presence of the Aedes aegypti mosquito, which can potentially transmit the disease. Oxitec’s solution to mosquito control is novel, but it has already been subject to extensive testing in both laboratory and open field conditions. This would not be the first field use of these mosquitoes and technology. Open field release tests have been conducted in several countries, including the Cayman Islands, Malaysia and Brazil. The Cayman Government completed a small-scale feasibility study with the same genetically modified Aedes aegypti in 2009. A larger experiment, releasing over 3 million male RIDL mosquitoes over a six month period was conducted in Grand Cayman in 2010 and an 80% reduction in Aedes aegypti achieved in a small area of 16 Ha (~40 acres). Similarly to Key West, the Cayman Islands have little or no dengue transmission at present, but the mosquito control agency (Cayman Islands Mosquito Research and Control Unit) recognizes that there is an ongoing threat of dengue while Aedes aegypti is present, and constantly seeks better methods for controlling this and other mosquitoes. The same RIDL mosquitoes have also been tested in small-scale releases in Malaysia and a larger scale trial in Brazil. In each case, following successful completion of the trial, post-release monitoring showed that the modified mosquitoes and the introduced gene disappeared rapidly from the wild; no RIDL insects were detected beyond 2 weeks after the end of the trial, despite several months of monitoring. Key West citizens are not ‘guinea pigs’, but active participants in the process of evaluating a new approach to controlling a dangerous pest. The town hall meeting was an important part of that process, and one forum through which Key West citizens could contribute and raise questions. Q: What peer reviews does Oxitec have outside of collaboration? A: They have published their science in over 40 peer-reviewed publications, all of which are made available on their website (www.oxitec.com) and also through standard databases and search engines. Oxitec seeks to publish its science in peer-reviewed publications, however the process often takes some time, so there is frequently a delay in these publications. Q: What companies back Oxitec? A: Oxitec is a UK company – a spin out of Oxford University- renowned the world over for its science excellence. Investors in the company include Oxford Capital Partners, East Hill Advisors LLC, from the USA, and the University of Oxford (through the Isis College Fund), and during its last funding round Oxitec has broadened its shareholder base and an increasing proportion of shareholders now come from countries outside Europe. New investors come from South America, Saudi Arabia and Asia. Oxitec has also been working with, and recognised by, many renowned institutions for several years, for example, Grand Challenges in Global Health, the World Economic Forum, the Wellcome Trust, Ministry of Health (Malaysia), Institute Pasteur, Gorgas Institute (Panama), University of São Paulo and Moscamed Brasil (Brazil). Q: Is Oxitec in debt? A: Oxitec is a young biotechnology company, securing an investment round of £8 million in December 2011. The majority of our funding has come from capital investment. Like most young companies, we have used a variety of financing instruments, including debt, equity and grant financing. This in no way compromises our independence as a company, nor does it undermine our financial stability, as demonstrated by our recent success in securing a large investment. The last question drove me crazy. It’s another indication that anti-science individuals lack knowledge of basic business principles. A startup company is frequently in debt, or living on the edge. Investors like to invest startup money in companies that have a lot of promise, but aren’t spending money on providing their executives with a new leased Ferrari! Sources of exposure to tetracycline could come from both terrestrial and aquatic routes however independent studies have shown the level of tetracycline in the environment is too low to affect survival of Oxitec’s mosquitoes. Oxitec estimated a threshold level of between 0.01 and 0.1ug/ml of tetracycline to see an effect on survival of the mosquitoes in the laboratory. A review of literature gives an average concentration of 0.00066ug/ml, so to see an effect on the survival of OX513A in the environment then we would need about 15-150X the concentration of tetracycline to be present. If we take the highest estimate of tetracycline in the environment from the literature that we are aware of, which was 0.0046 ug/ml then we would need about 2-20X that concentration of tetracycline to increase the survival over the inherent 3% survival. Terrestrial routes for tetracycline contamination include intensive animal rearing operations, including the animals treated with prophylactic or therapeutic sources of tetracyclines, as well as excreted tetracyclines in sewage and manures that could be spread on agricultural lands. Therapeutic treatment of humans and companion animals along with subsistence farming animals also represent potential sources of tetracycline exposure. 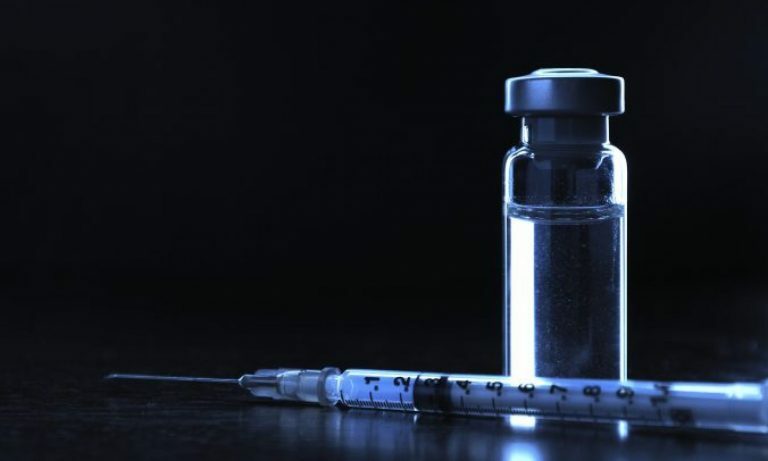 Incorrect disposal of human therapeutic tetracyclines is another potential source in landfill or similar sites. Aquatic routes which could result in environmental contamination of tetracycline could include where these antibiotics used in intensive fish or shrimp farming/rearing and disposals from hospitals etc that enter water courses. Anti-science beliefs also have negative consequences, but we can accurately describe and predict those with real science. We can predict that the hysteria of the vaccine denialists will lead to increases in deadly childhood diseases. And now we can predict that blocking a viable and environmentally responsible method of preventing dengue fever can lead to more pollution in the Florida Keys (as a result of increased pesticide use) or more deaths from dengue fever (or both). The Frankensquito could be a tool that reduces pesticide use (with its concomitant damage to all parts of the environment) and saves lives. Promoting an anti-science, knee-jerk reaction to genetically modified mosquitoes doesn’t help us focus on stopping a deadly disease. It just delays inevitable choices down the road. Of course, as I mentioned above, the problem becomes even more acute as the climate changes, because subtropical weather moves north and new species of mosquitos are moving into countries that are not equipped to deal with these tropical diseases. Innovative, scientific solutions to stopping these diseases are necessary, and irrational anti-science beliefs are not helpful. Sane minds and sane discussion is necessary, I hope that saner minds will win out, though I think that people buy into pseudoscience more easily because real science is real hard. Sad. Previous PostPrevious Where’s the common sense in the GMO discussion?